March 20, 2018: Pan recently had a uveitis flare up, this being said, he does require daily ointment. This will require an experience handler as he is a bit weary of allowing the ointment in his eye. He is able to be out with his friends and makes a great pasture pal! July 21, 2015: Pan is fully recovered, running and frolicking throughout the sanctuary. He has even been known to visit on his own, some of the clinics held in the arena. Pan has so fully recovered, we feel he will be able to withstand light riding. This is great news to the lucky adopter as Pan is beautiful, strong and will make someone proud. December 18, 2014: Pan is recovering beautifully! His surgery went well and his bandage is off. He is now allowed to go on short walks with our caregivers a couple of times a day. In another month, he will have a follow up xray to see how his bones are doing. Soon he will be able to run and play again! Until then, he is still looking for a home to call his own! 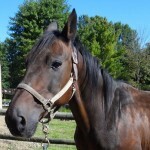 December 1, 2014: Pan is a 16-year-old Standardbred gelding who came to Happy Trails in November of 2013 through our Amish Horse Retirement Program. He could no longer go the distance, no longer pull carts day in and day out, and his family was forced to retire him. Pangaia recently began to come up lame. 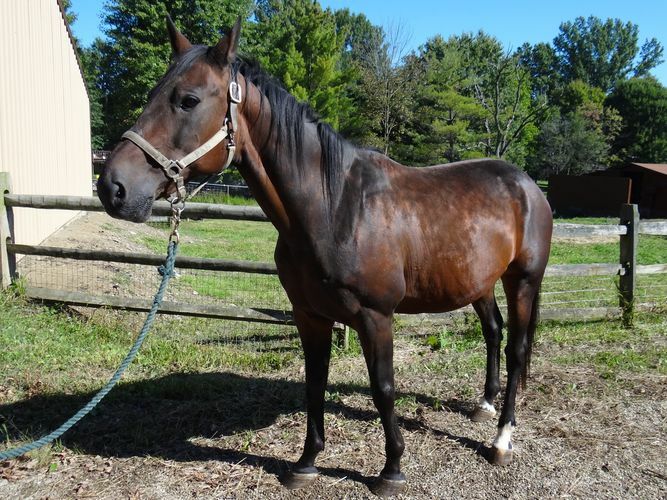 He had always had some issues but this was different – he would not put any weight on his left front leg. The vet was called and after a radiograph was taken of his leg, it was found that he had a very large bone cyst in his ankle as well as a small stress fracture. This means that inside the bone, there is a hole instead of the normal bone structure. Our Pan is remarkable in every way and to prove it, the vets declared this bone cyst was the largest they had ever seen! View the Radiograph! The cyst has existed for years and yet Pan was smart enough to protect it with his movement, unfortunately making it hard for us to have detected. Over 2 1/2 months, Pangaia has endured a regimen of supplements, hand walking and stall rest to help strengthen the bone and heal the fracture. 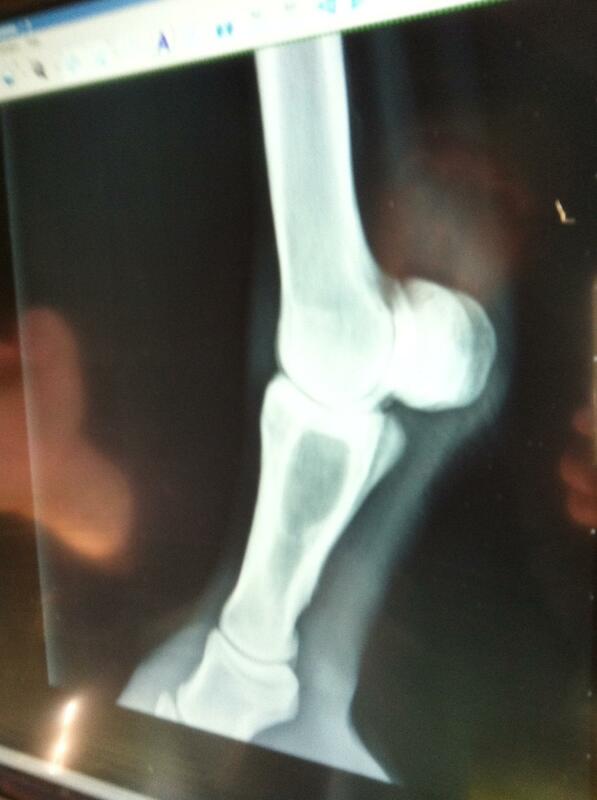 Against all odds, the fracture has healed! This means we have received the all clear to schedule a very important surgery. This surgery will entail placing two screws in his bone to help stabilize it. The cyst is something that will never grow back, progression can be stopped, and it will not get worse. With this surgery expense of $2500, the vets are extremely optimistic. 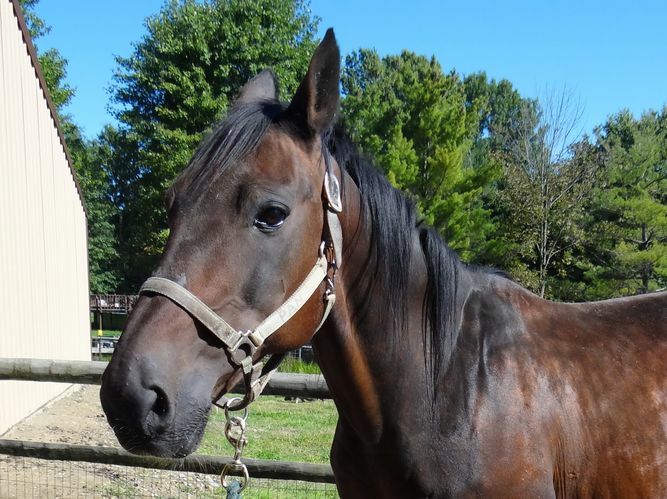 Pangaia will be live up to his name meaning (perfect living) leading a long, comfortable life as a pasture pal and doing all he has dreamed of without the pain or lameness he has endured silently for so long. Recovery time for this surgery is next to none, he has a bright future ahead, and we need you! December 6, 2013: Pan went to OSU to have his teeth floated, his eyes checked, and a lameness evaluation. His teeth were surprisingly very good, so they just had to file a little bit down. His eye seems to have healed. He may have recurrent uveitis, but the only way to know that is if it reoccurs. It may have been an isolated incident of uveitis due to some type of damage or irritation to his eye. His vision appears to be great and he isn’t in any pain. During Pan’s lameness evaluation, they discovered he was slightly lame on his left hind. They did an ultrasound on his stifle and found some fluid. They think that he should be adopted out as a pasture pal. They don’t expect him to come up very lame anytime soon, but if there is a lot of weight on him or if he is forced to do rigorous work, he will be very lame and it will become painful. 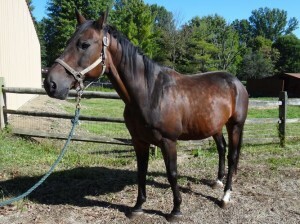 He also has the beginnings of arthritis in his hocks, but it shouldn’t become a problem for a long time. Just a sidenote, Pan did amazing at OSU and was so gentle and mellow. The vets and vet students fell in love with him and used him for teaching because he was so calm. They didn’t even have to sedate him for the ultrasound, so the vet students were able to practice on him since he loved the attention and stood still. November 8, 2013; On Friday we picked up a buggy horse in Mt. 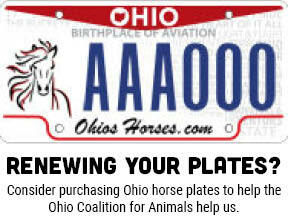 Hope, Ohio, when his Amish family decided to place him into the Happy Trails Amish Horse Retirement Program. His is such a sweetheart and he is very well mannered. Sadly he has a health issue with his right eye, and has some arthritis going on in his hips.  A trip to OSU in Columbus will give him the best overall and most cost-effective health exam to help us provide him with an accurate diagnosis, proper treatment, lameness evaluation, and comprehensive rehabilitation program, so that he can begin to heal and become healthier. He came in with the name Pan, and we always try to provide the animals with a new name to help them start their new life. We decided to add to his name, and he is now Pangaia (pronounced Pan-Jay-Uh), after a village in Hawaii where the inhabitants are almost all vegans. The translation roughly is “perfect living”, and that’s what we want to now give Pangaia, a perfect life!